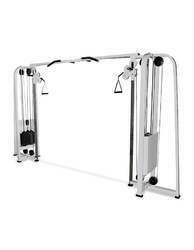 We offer a range of fully Adjustable Cable Crossover that is available in select design elements and unique components of the industry-leading signature series strength lines to integrate nicely with all of the latest life fitness strength-training products. 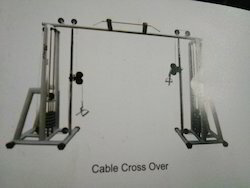 Our firm specializes in providing a quality array of Cable Crossover. With focus on all specifications & requirements of our esteemed clients, the offered range is made using superior quality material and innovative machines. Further, our offered range is tested with all quality parameters to ensure their flawlessness.